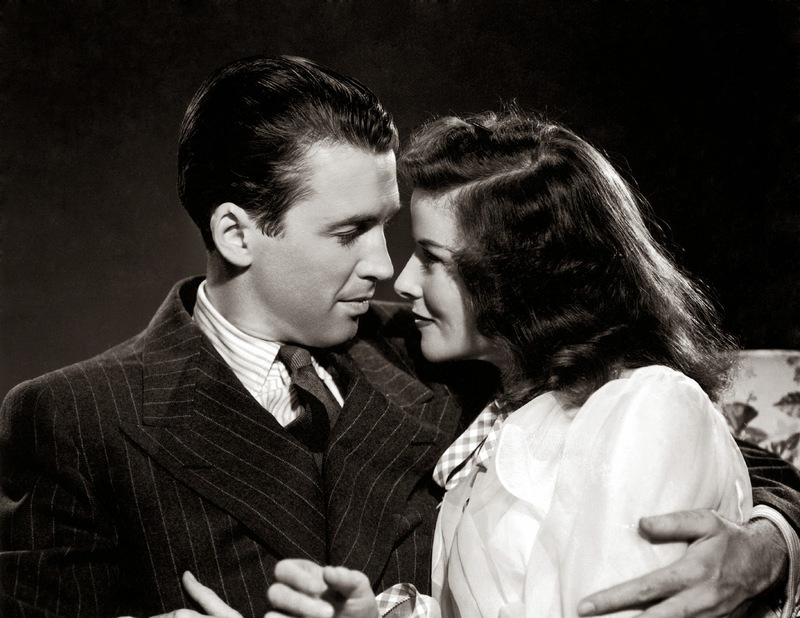 An overrated high society romantic comedy, The Philadelphia Story is contrived and stagey, but maintains a certain allure thanks to a committed cast. At her lavish family estate, Philadelphia socialite Tracy Lord (Katharine Hepburn) is about to get married to the stuffy George Kittredge (John Howard). 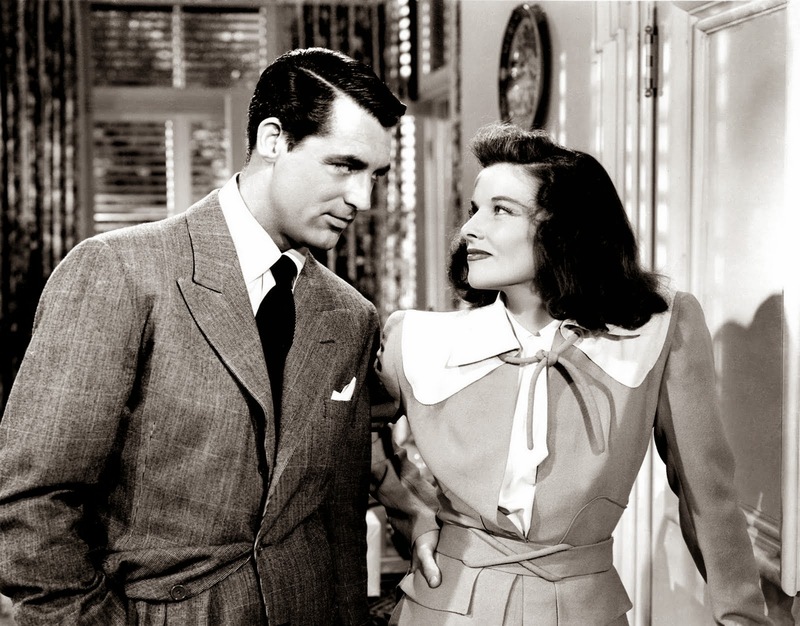 Tracy's former husband C. K. Dexter Haven (Cary Grant) shows up uninvited hoping to win his former wife back, as do two gossip reporters Macaulay "Mike" Connor (James Stewart), a frustrated author, and Elizabeth Imbrie (Ruth Hussey) a photographer with a crush on Mike. Tracy's young sister Dinah (Virginia Weidler) would like Tracy to reconcile with Dexter, although that marriage ended quite badly. Tracy's estranged father Seth (John Halliday) also suddenly shows up, adding to the pre-wedding stress. As the big day approaches, Tracy finds herself becoming attracted to the down-to-earth Mike, and she starts to question her commitment to George. Dexter takes every opportunity to remind Tracy that she is a cold, perfect goddess who demands to be worshipped, and that she cannot tolerate any imperfections in her men. George and Mike pile on the pressure by also pointing out to Tracy all her haughty faults. To deal with her mounting confusion Tracy drinks to excess at the pre-wedding party, which only causes more romantic chaos among the three men now after her heart. The Broadway play is translated to the screen with stellar casting. Hepburn financially backed the stage production and starred in it, and the movie helped restore her to the front ranks of Hollywood stars. With the suave Grant and ordinary-man Stewart playing to their strengths, The Philadelphia Story never lacks in charisma and star power. The dialogue is passably witty, while Virginia Weidler as Dinah and Ruth Hussey as Elizabeth offer grounded support. But director George Cukor is never able to break free of the stage, and the film often bogs down in long-winded, talky scenes which play well on the stage but suffer from lack of energy and animation on the screen. The three leads all deliver their lines with a knowing twinkle in their eye, undermining any cinematic coherence, and the camera placement and actor movements all contribute to the sense of filmed theatre. The material is too thin and laboured to fully make up for the lack of energy. The story may have played well to the upper classes of the day, but it has aged quite poorly, both as a romance and a comedy. The character's motivations and conversations never come close to being realistic. The fundamental premise of series of guests showing up uninvited, hanging around the bride for hours on end, and unabashedly criticizing her values and behaviour to force an entire personality reassessment hours before the big wedding, just rings hollow. Matters are entirely not helped by an over-dependence on the consumption of gallons alcohol as a transformational plot device. The 1956 musical remake as High Society dramatically increased the colourful glamour quotient, dispensed with most of the introspection, and allowed the music to unlock the more timeless whimsical ingredients. Although it does glow with star wattage, The Philadelphia Story is unfortunately stuck in time, and on the stage.